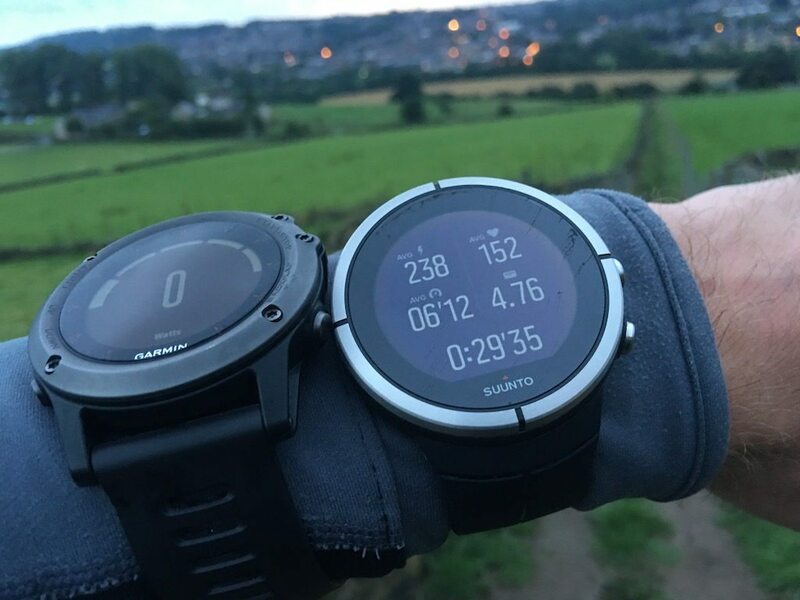 Suunto Spartan Ultra GPS Multi-Sport review – Failure or Fabulous? 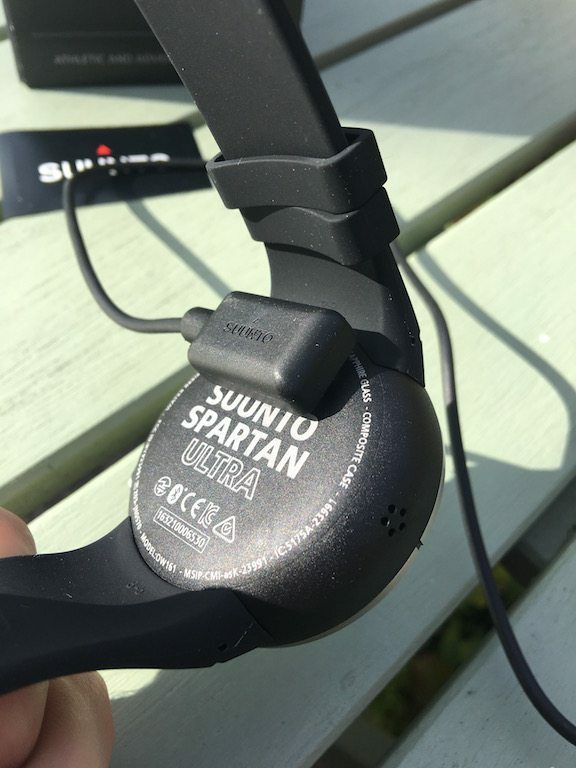 In my opinion, the release of the Spartan has been long over due from Suunto. 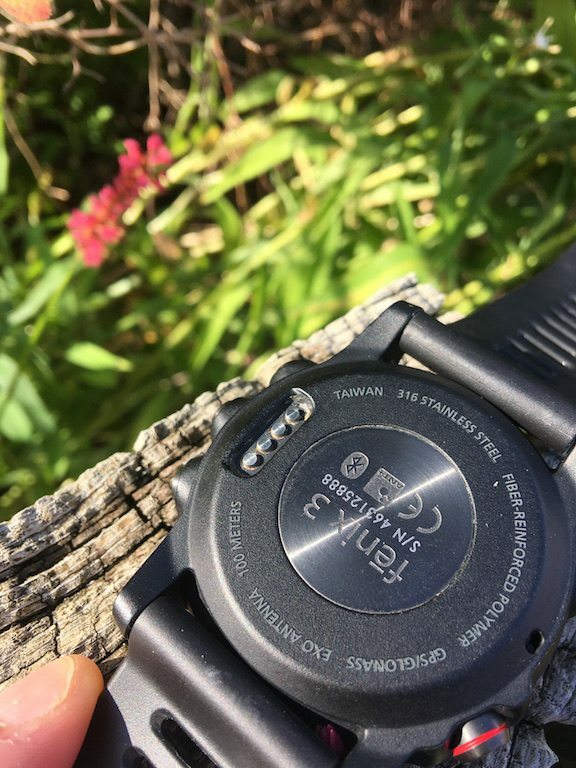 The presence of the GPS antenna “hump” on a lot of their watches called out regarding the dated components contained within. 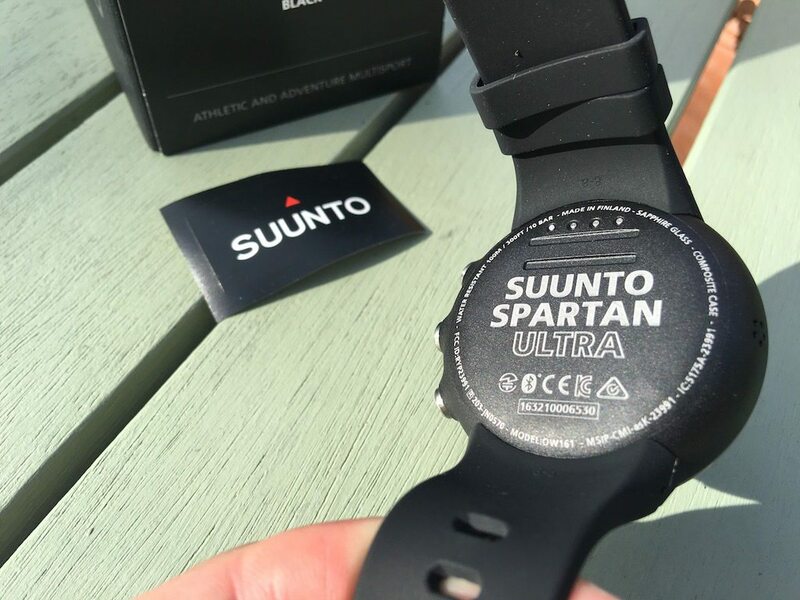 The Suunto Spartan has been totally redesigned for the current multisport market, where being technically proficient is no longer enough. 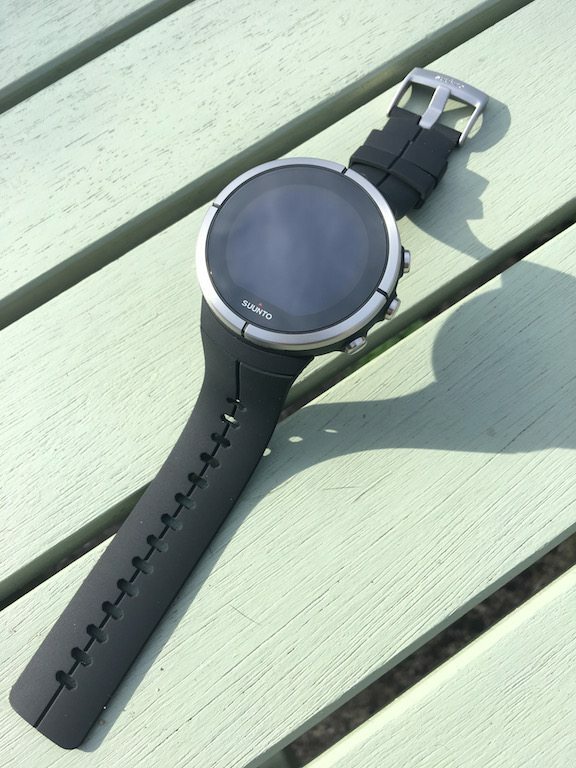 A function over form approach no longer cuts things in the market as the boundary between sports watches and smart watches has been steadily blurring, look no further than the ludicrously priced Garmin Chronos. 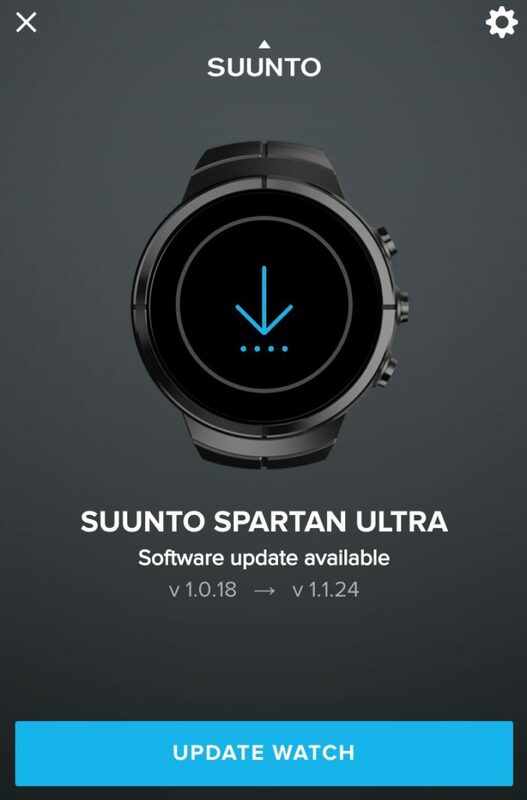 It is no understatement to say that the designers of the Suunto Spartan have absolutely nailed the casing of the Spartan. Yes, it is *slightly* on the bulky side, but it looks absolutely gorgeous. 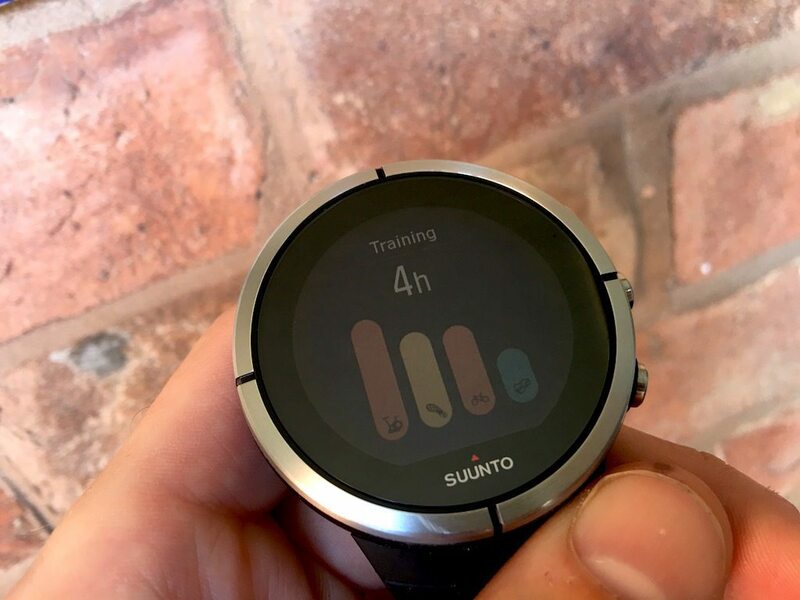 The watch I’m reviewing today is the Suunto Spartan Ultra Steel. 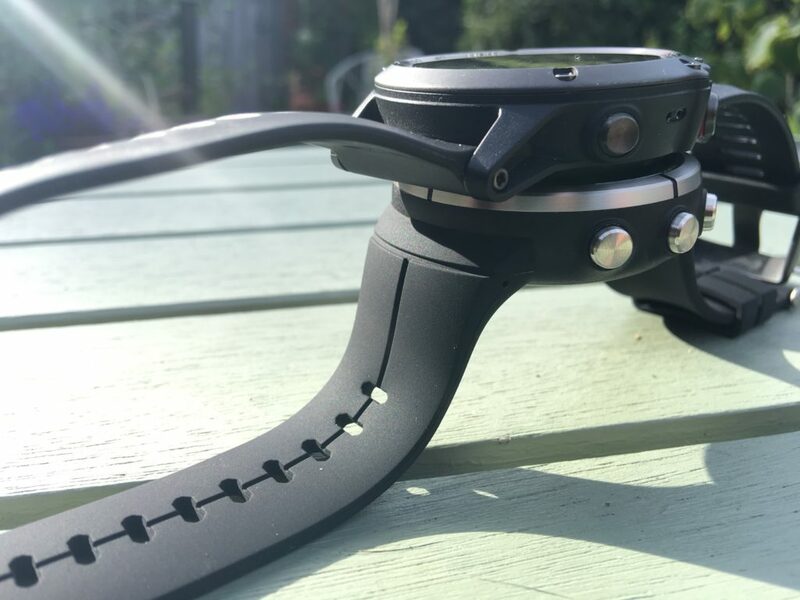 As appropriate as it might seem for TitaniumGeek to review the Titanium edition of the watch, I personally think that the price difference of £50 for the titanium over the steel version is actually worth it. But I stress that again, that very much a personal decision based on my perception of value. I also think that the black and bright silver of the steel version just looks better! Plus looks good for the work environment. This has been a difficult review to write, I think the title says it all. So a little clarification before we continue. 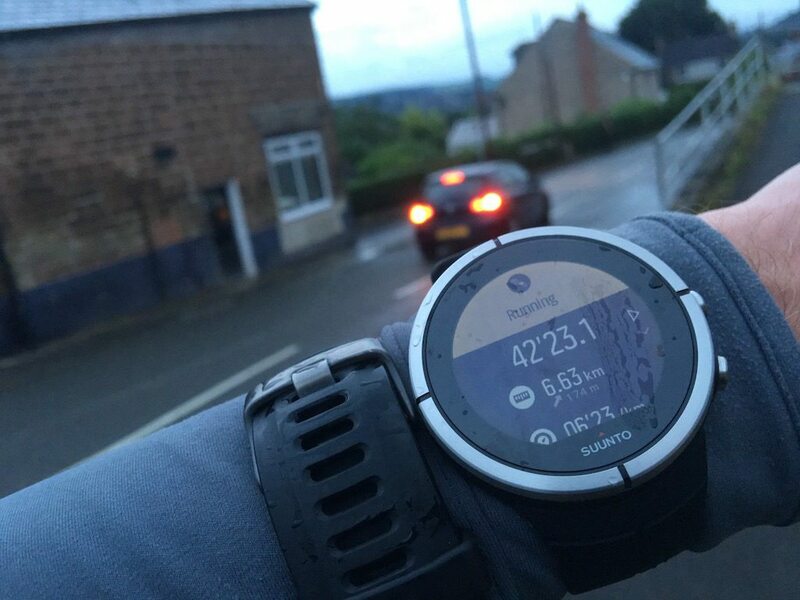 In terms of devices I purchased the Spartan myself, similarly, my Fenix 3 is purchased from my own wallet, from Amazon, no Garmin discount applied. When I mention the Polar V800, that review was a loan from Polar, and was subsequently returned. 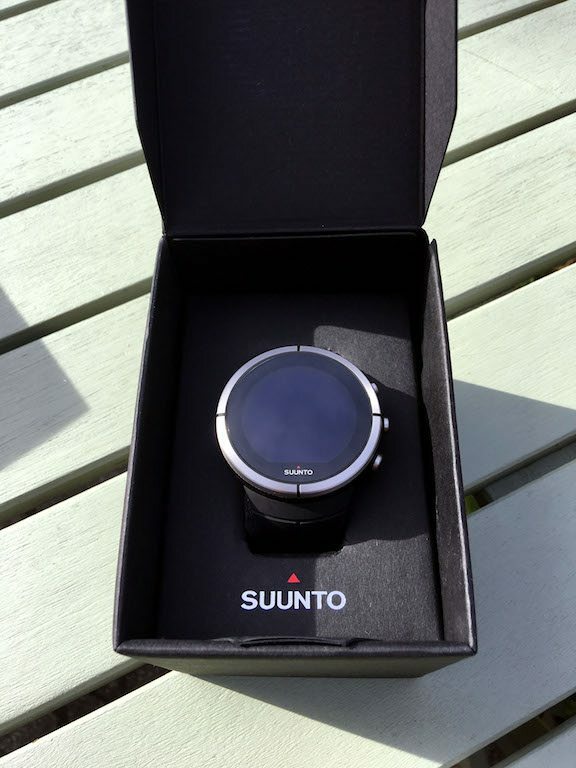 The Suunto Spartan Ultra box, looks very… well spartan, but in a good way. It has all the look of an expensive product – essentially dark and brooding. 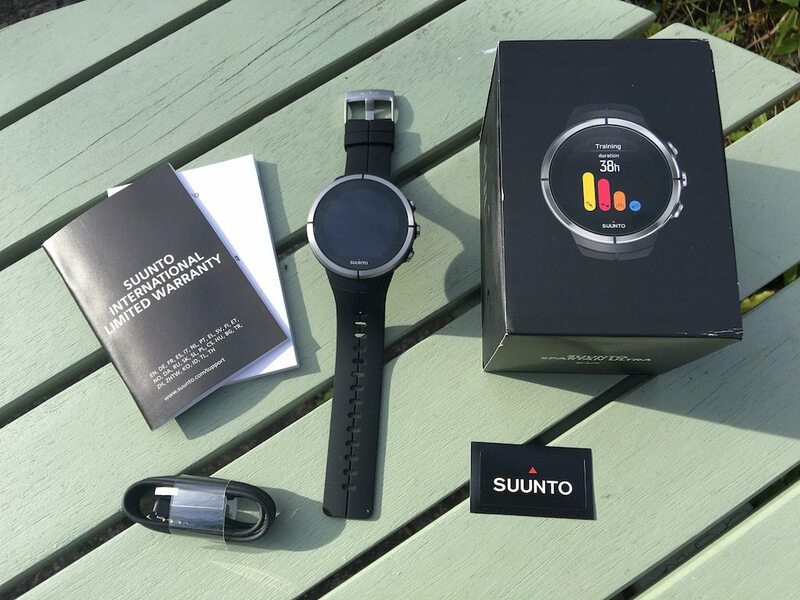 Inside the box, we have a couple of manuals, the actual Suunto Spartan, charge cable and little Suunto sticker. I DO like the inclusion of little stickers like this…but I have NO IDEA what I’m supposed to do with it!! For me, the steel bezel around the outside exudes pure class. 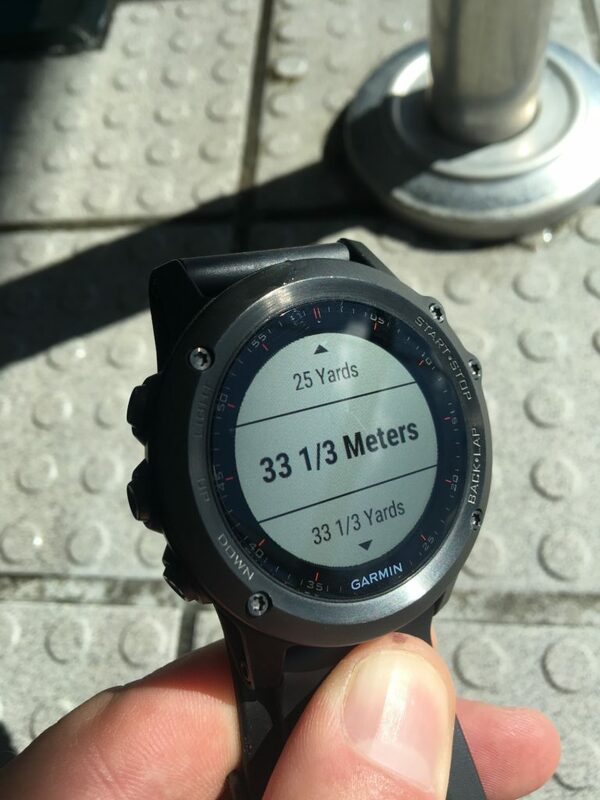 I’ve been a fan of the Fenix3 since it debuted, you got all of the sports features of the Garmin 920XT, with looks which could still just about cut it at work. 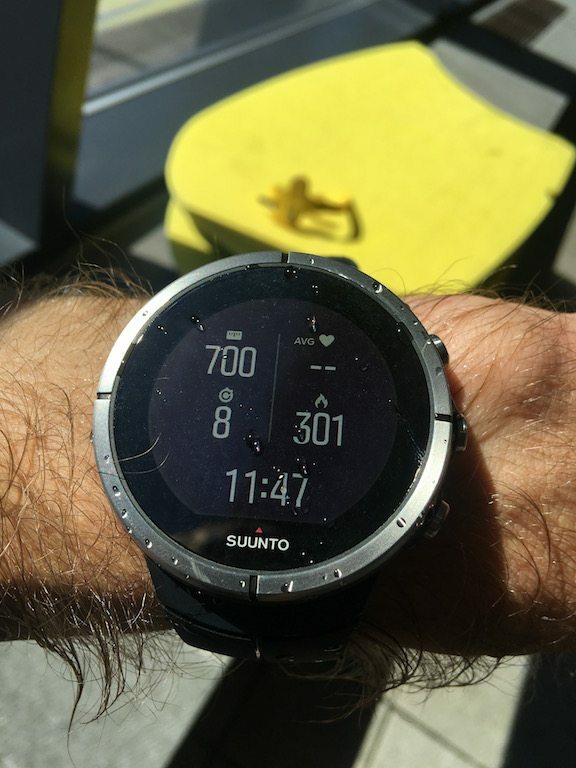 By comparison, the Suunto Spartan has a style which the Fenix3 can only dream of! 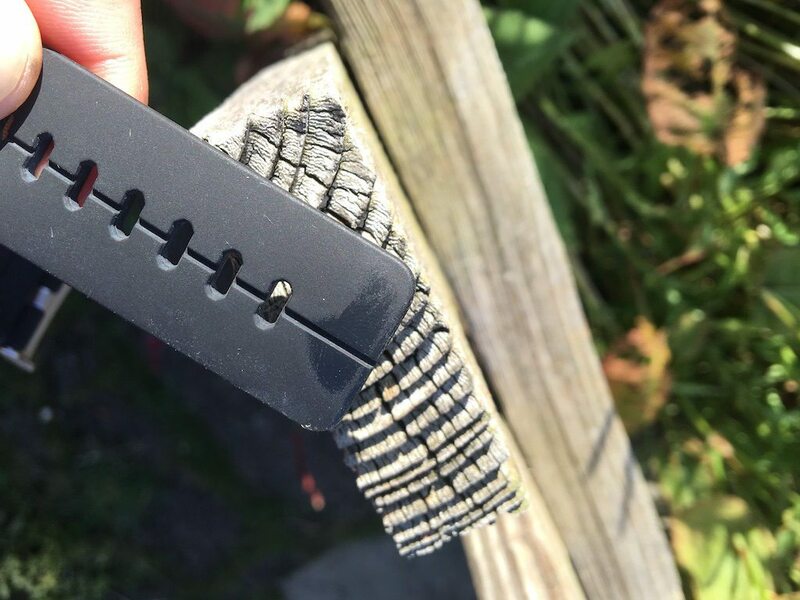 On the back, we’ve also got four charging dots, along with two lines for the magnets of the charger to fix onto. 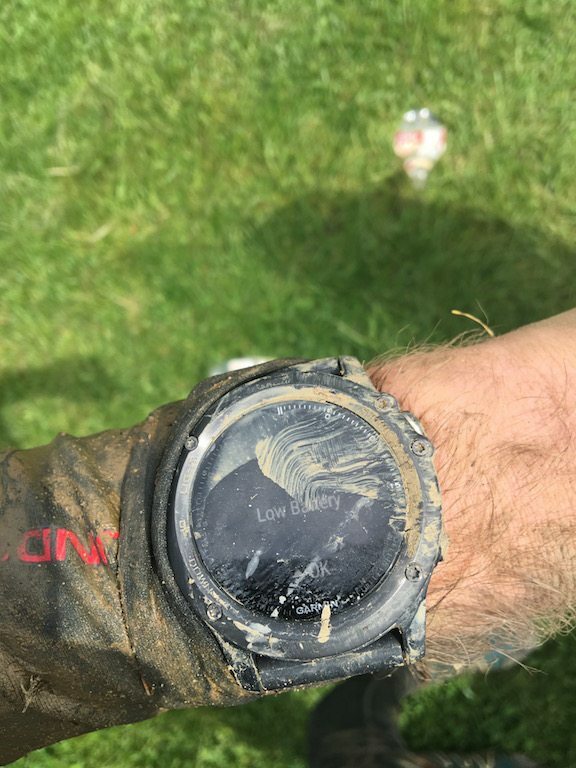 Thinking about obstacle races etc, and my experience with the Fenix3 paint chipping is another reason why I opted for the steel Suunto Spartan, rather than either of the titanium options, as I just didn’t want to have to deal with possible paint chips on the Suunto either. 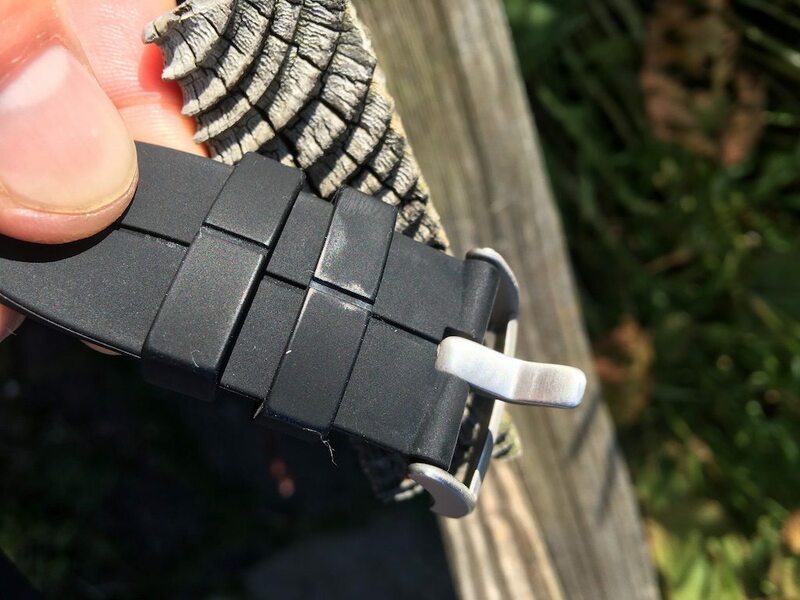 The strap is covered in a soft-touch rubber, which I’ve never really been a fan of. 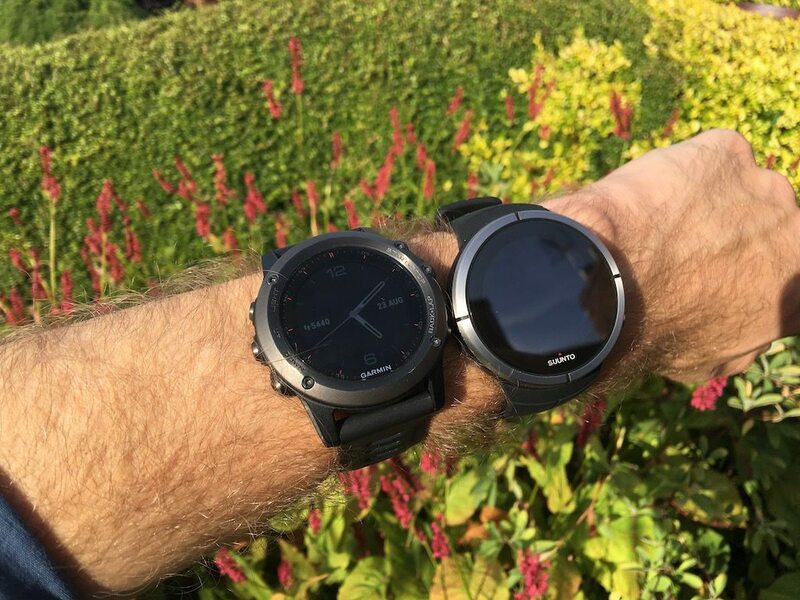 Both the Garmin Fenix3 HR and the Garmin Vivosmart HR have similar coatings. 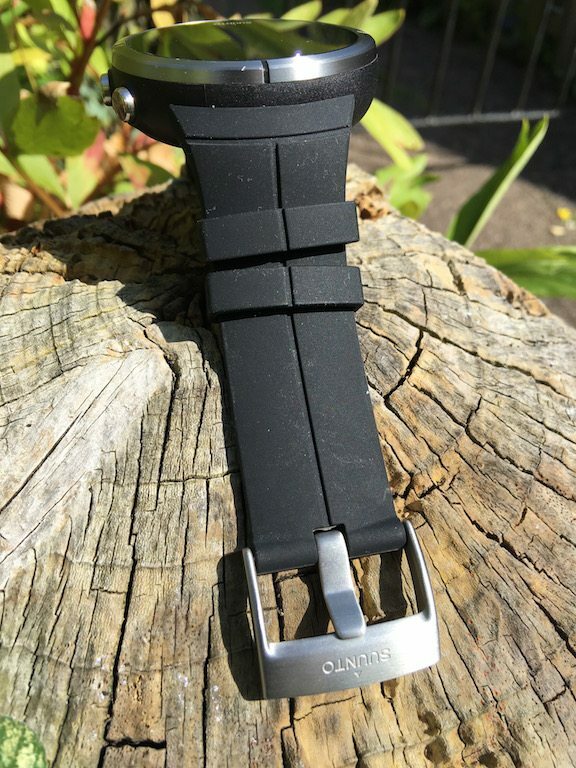 Initially the coating feels very nice and soft, but within a week of wearing the Suunto Spartan, as with the other watches, the strap has become shiny in a few places, and is my main reason for disliking this strap material. 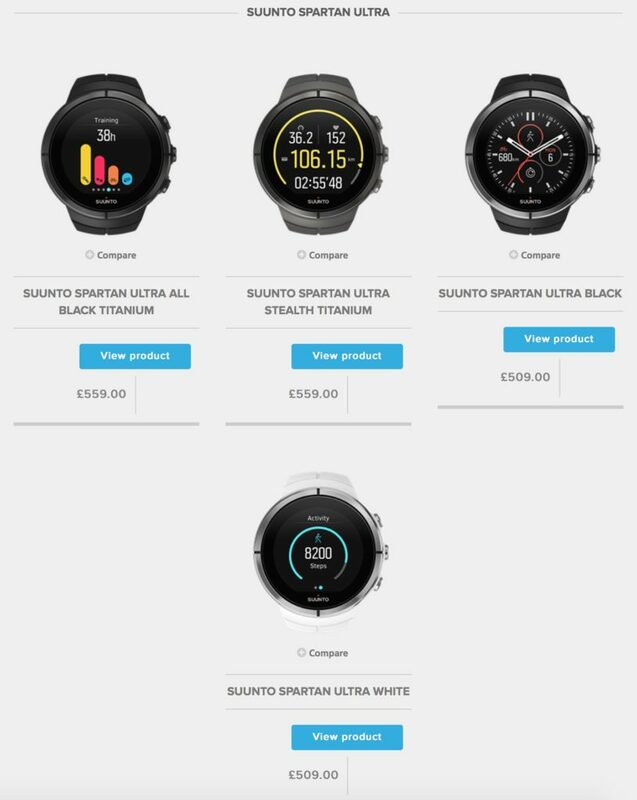 I’m sure many of you will put that down to OCD, but the Suunto Spartan, as with the other two, are not cheap devices. Thus I don’t think it is unreasonable to expect them to withstand general usage – I’m not even saying wear and tear! 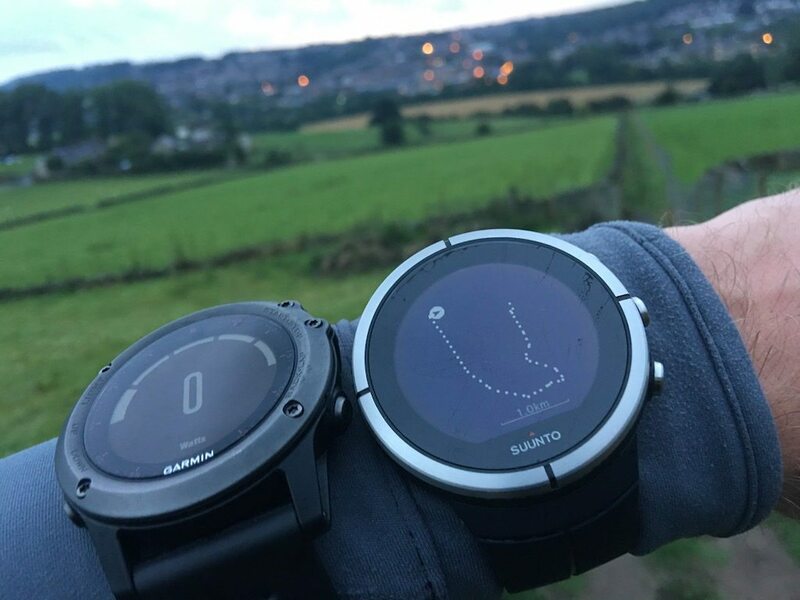 In terms of overall size, the Suunto Spartan is quite comparable to the Fenix3, which I think is reasonably it’s main competitor. 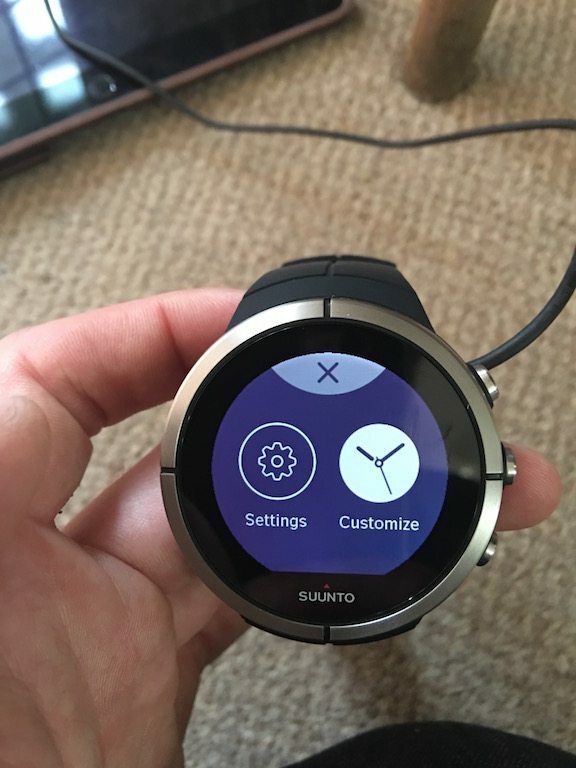 The Suunto Spartan ha a 50mm bezel, whilst the Fenix3 is 51mm. The dimensions between the two watches are interesting. 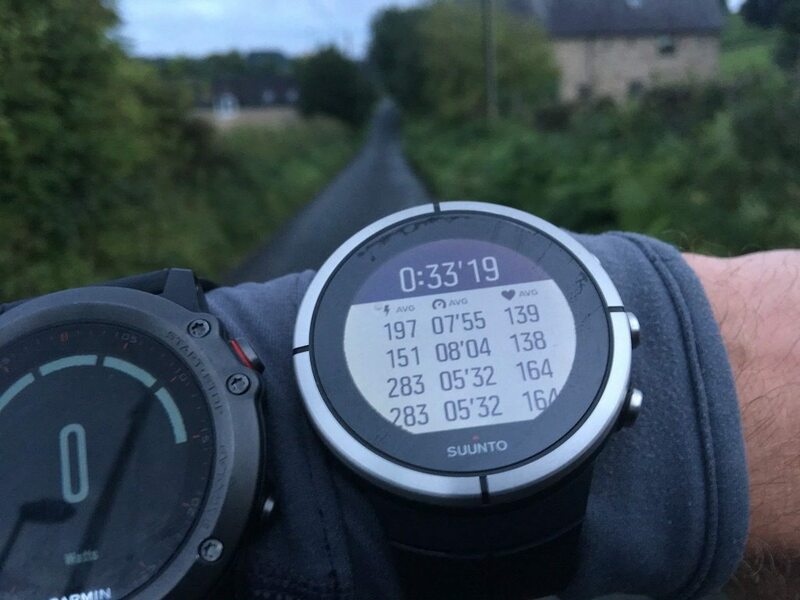 The Fenix3 IS larger, whilst the Suunto Spartan uses it’s case more efficiently, with a larger 300×320 vs 218 x 218 pixel screen. 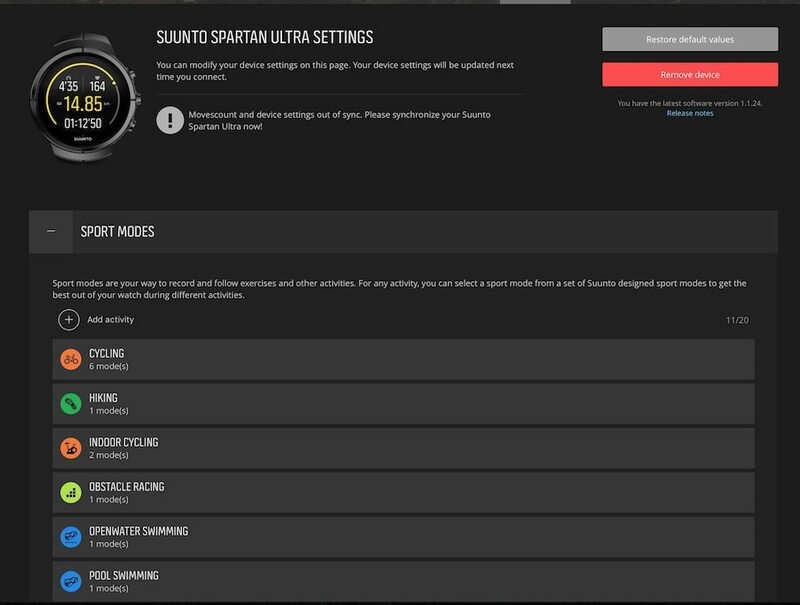 When you switch on the Suunto Spartan for the first time, you go through all the usual set up procedures, language, body stats etc. 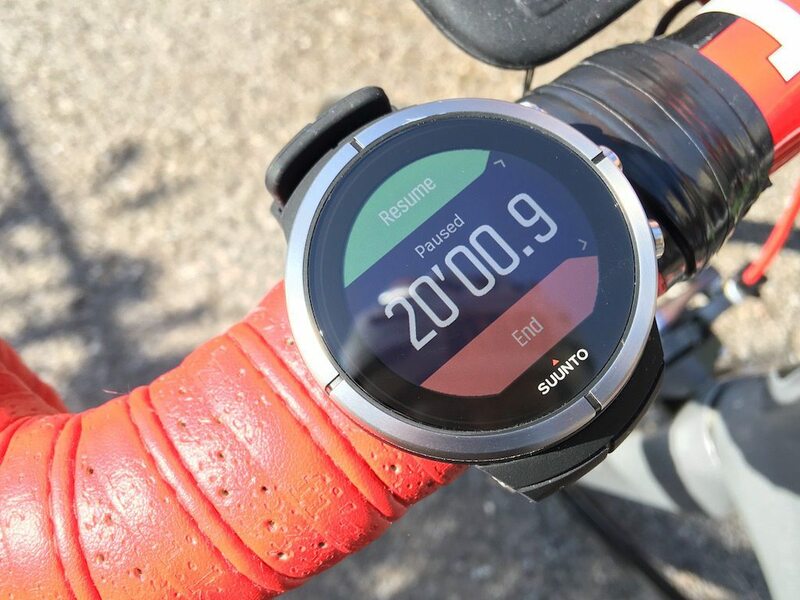 With the launch of the Suunto Spartan, Suunto have given Movescount a lick of paint. Which is kind of how it feels. They have moved a few bits around. 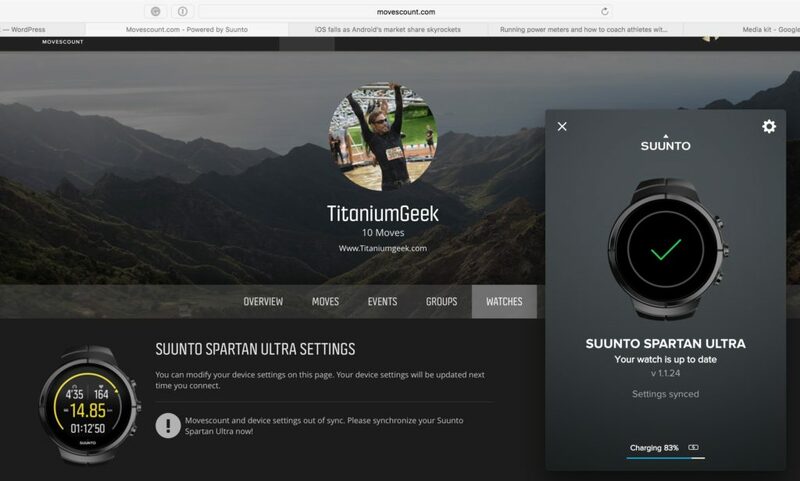 The Suunto Movescount website is where you have to go to make changes to the app/sports profiles loaded on the Suunto Spartan. 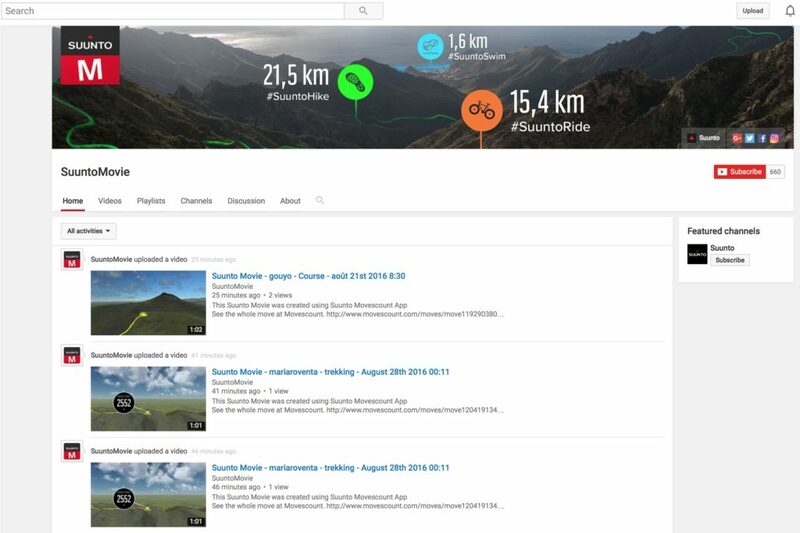 I was a little disappointed when I finally saw the search menu, showing me that the second from bottom activity was actually windsurfing and not “Jaws Shark Simulation Swimming”! 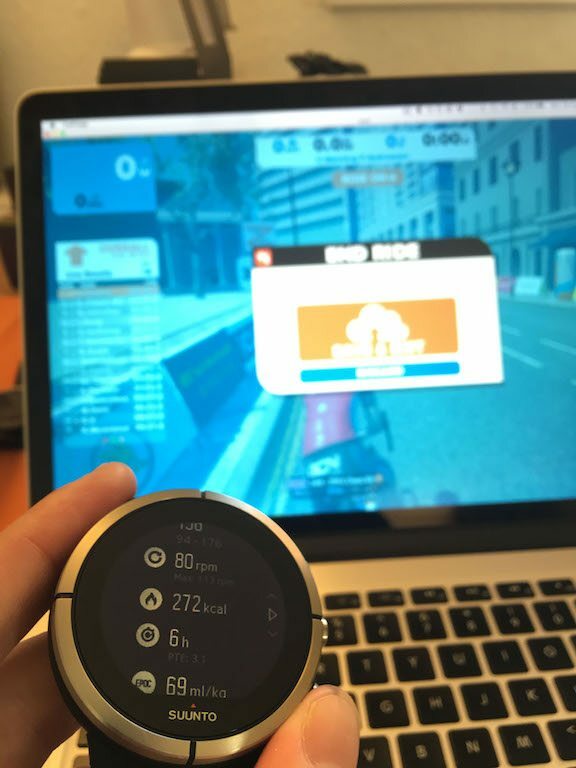 Indoor cycling is a good example – which has two separate profiles, one with and one without power meter usage. 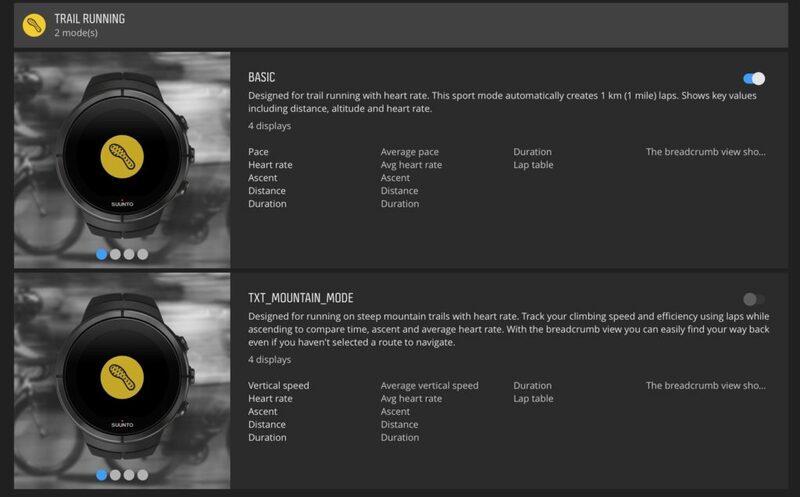 Neither of sports profile however will allow you to show cadence during the workout!! 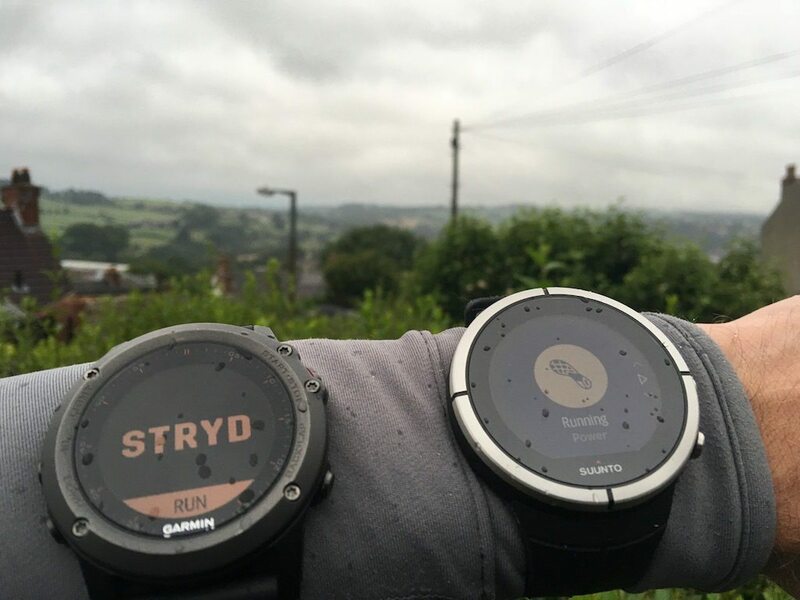 As another example, there are five running profiles to choose from of which one has run with power baked right in for use with Stryd – nice one Suunto! But you are only going to be able to pair one of each. You can go into a paired devices menu, which will tell you that each slot has been filled, but without giving you any idea as to by which device. This isn’t even just an issue for people with multiple bikes with different sensors attached. 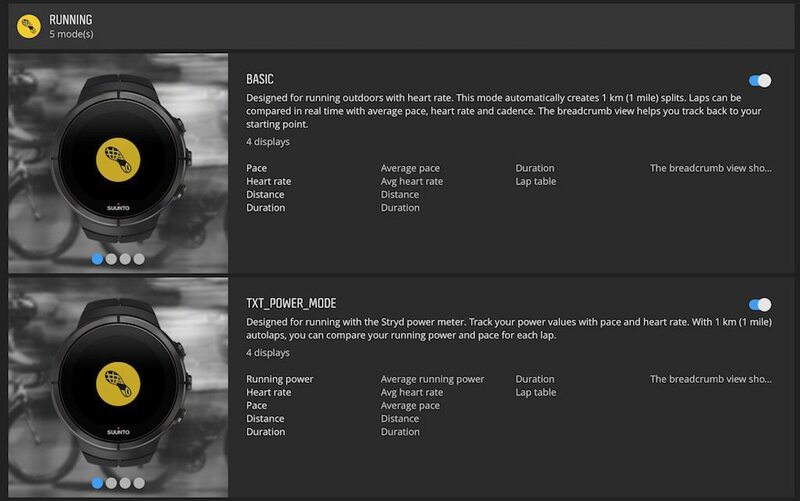 If I want to use the Stryd HR when running, it uses the heart rate, power pod, and foot pod slots. 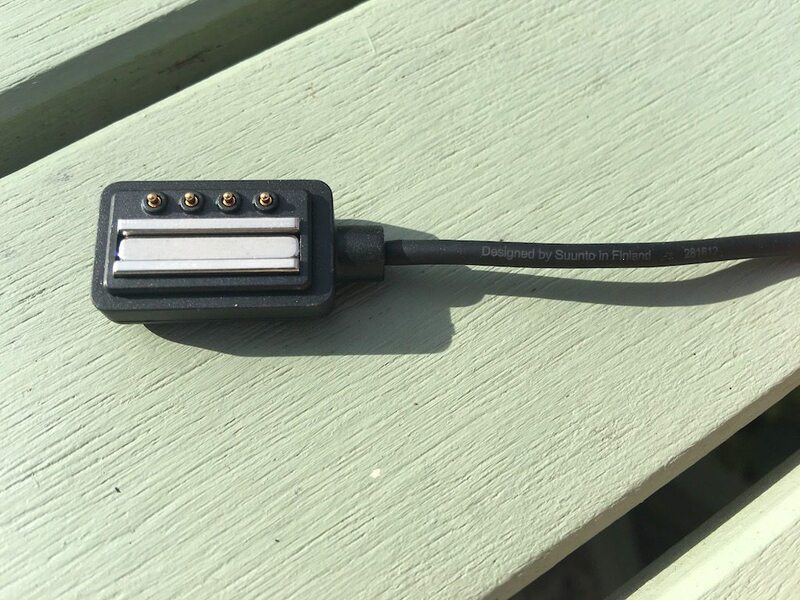 Which means every time I swap back to the bike I have to repair the power meter, for the bike, or repair for the turbo trainer. There are many people who have multiple sensors. 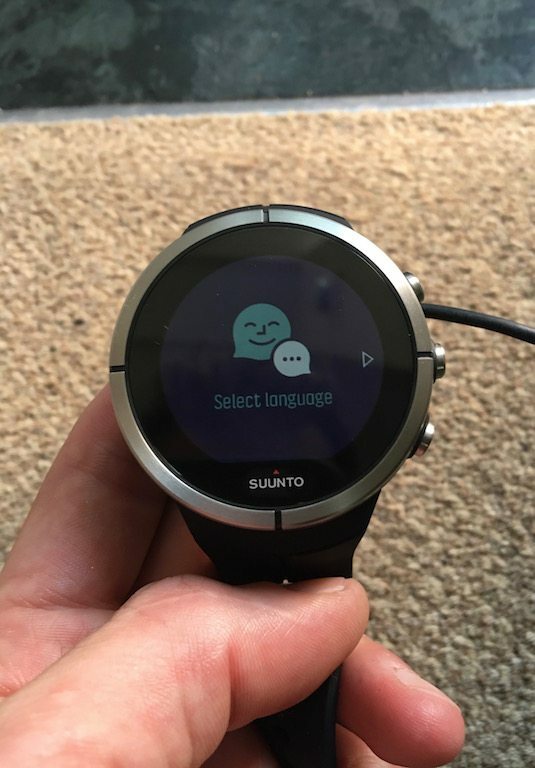 This watch doesn’t seem to deal with that well. 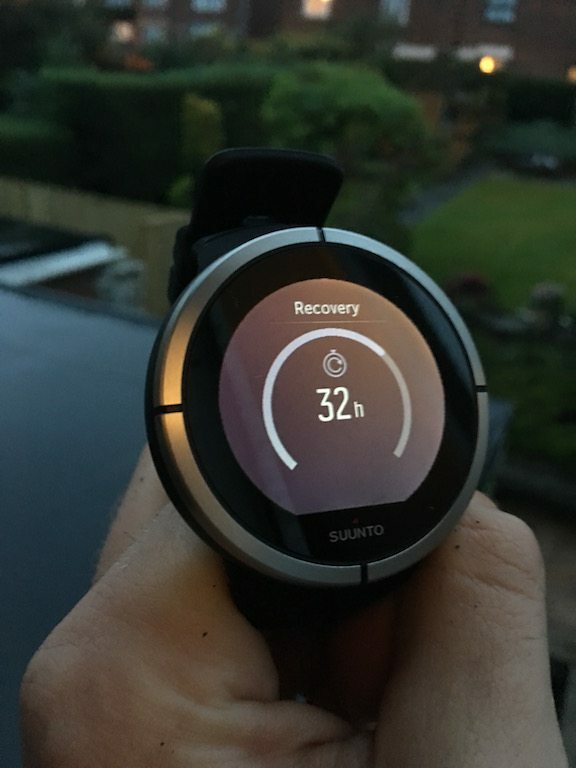 When a notification comes through the Suunto Spartan gives a slight buzz (A little too faint actually for my liking) and up pops the relevant message. This message then disappears after a 10-15 sec time out, and that is it. There no notification screen to look back onto, in case you missed a notification. This is particularly irritating when you get several notifications which come through at once. If you look at the picture above, you can see two little lines at the top of the screen. These look like they should pull a drop down notification screen using the touch screen. Nope. I wonder if this is something that is a firmware issue, rather than an accidental omission? 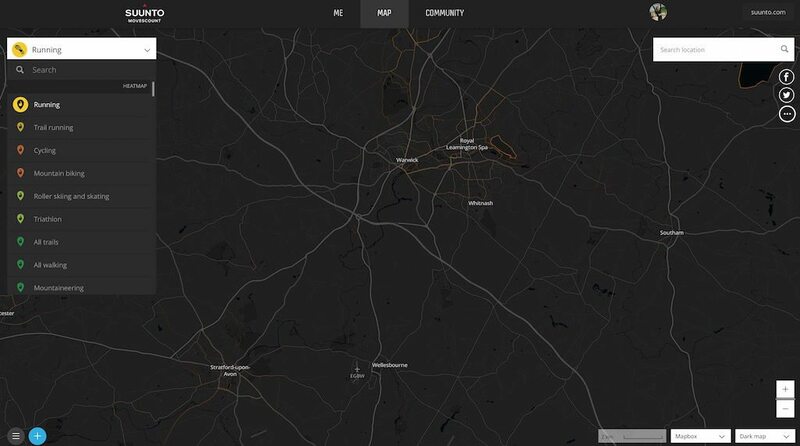 I ended up using the above face, simply for the extra data, it could display. 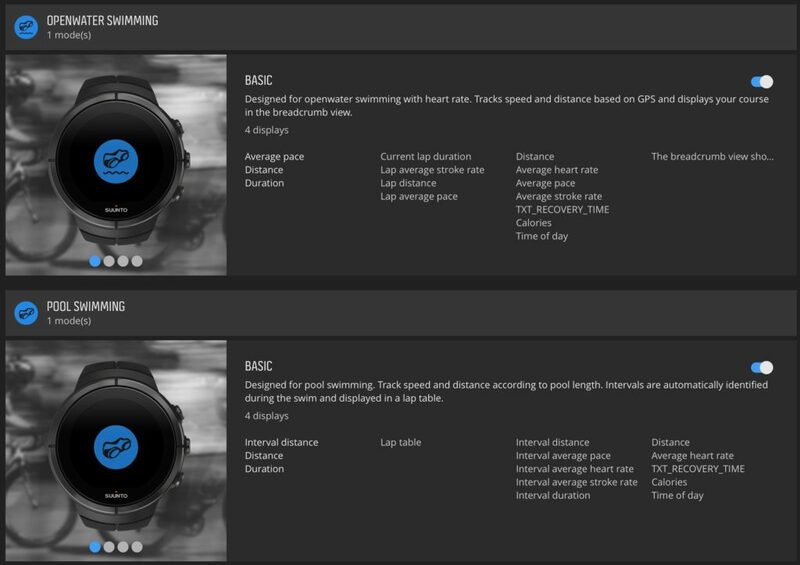 After being used to Garmin IQ watch screens, it felt strange to have options, but fixed options. 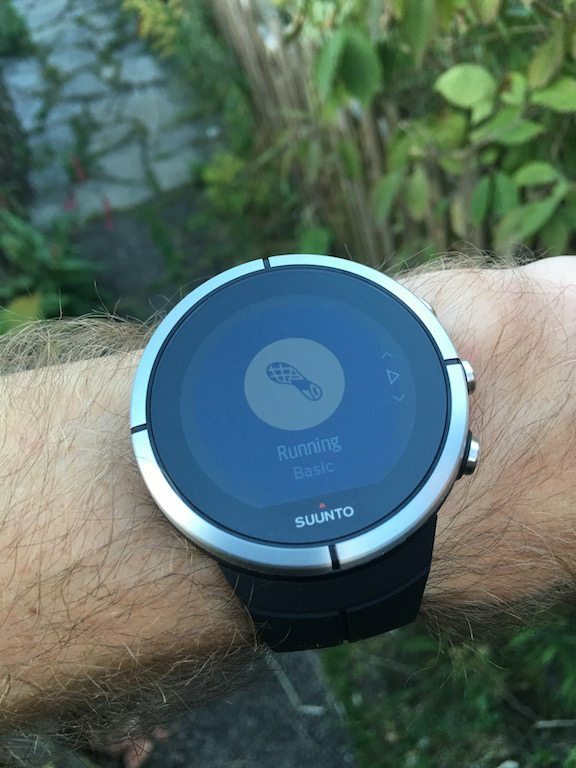 One thing I have been VERY surprised at with the Suunto Spartan, is the alarm function. Or lack of it. 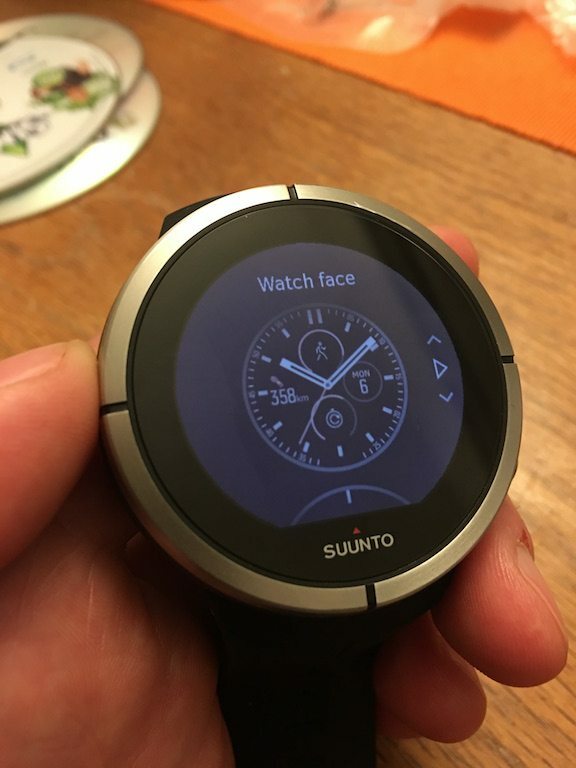 It’s possible that there is a function hidden in the app in order to allow me to set a wake up call (i cant find it if so), similarly I’m nearly 100% there is no way to set an alarm from the Suunto Spartan itself, which is…odd. 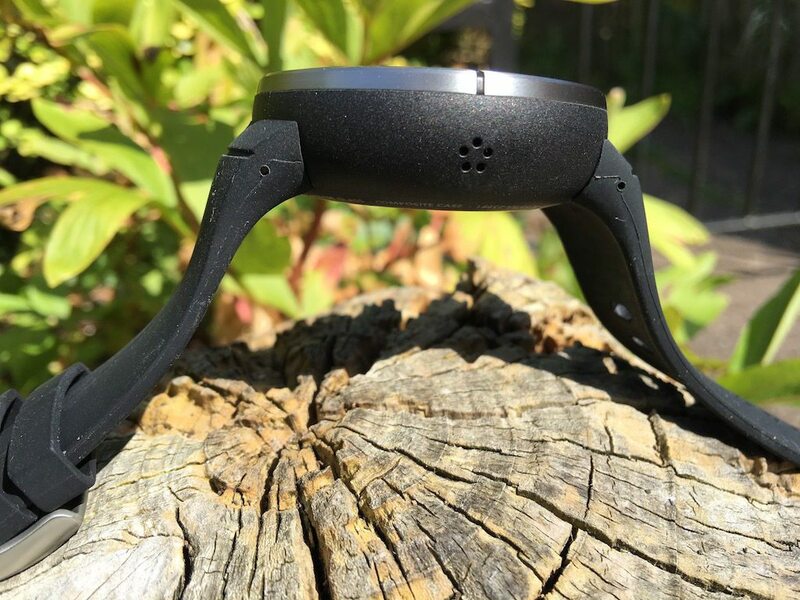 In addition to waking me up, I cant find any evidence of sleep tracking. 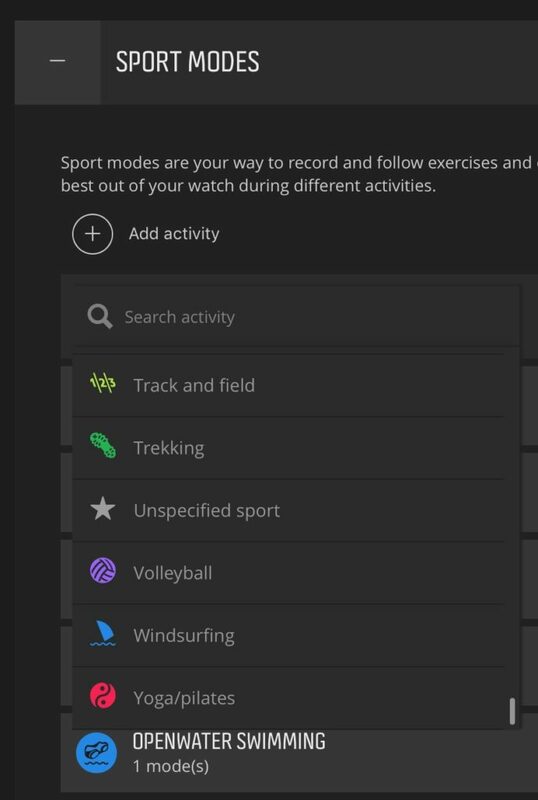 These are not vital features, but are quite surprising in a £550 watch, when you consider both are available on the FitBit Charge for under £90! 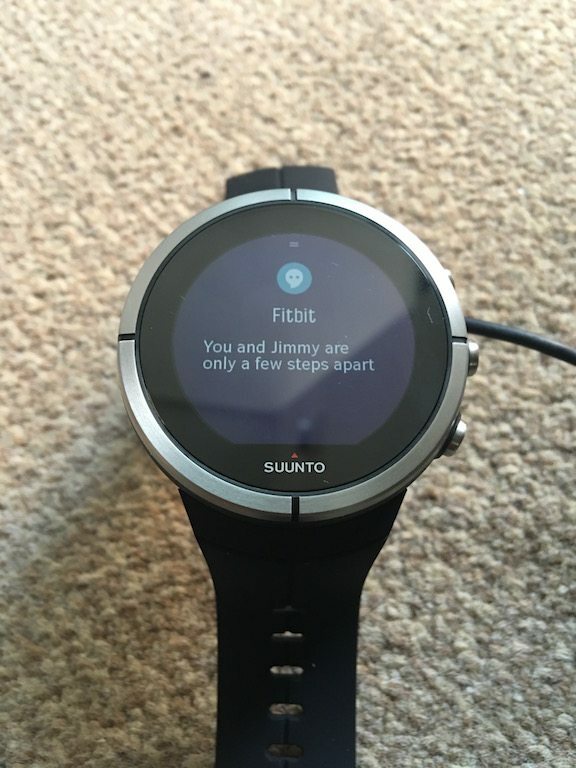 However, I really have no idea which watch is giving the best physiological advice! I’ve usually got a few watches knocking around on the bench for reviews but tend only to wear one at a time for work. 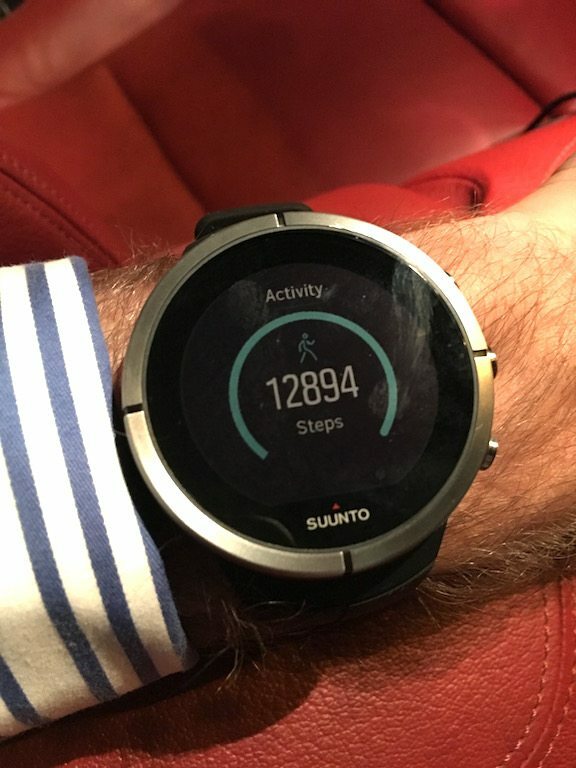 But I was a bit surprised to see the 12,894 step count recorded when at work, simply as it didn’t seem to be a particularly active day in the practice. 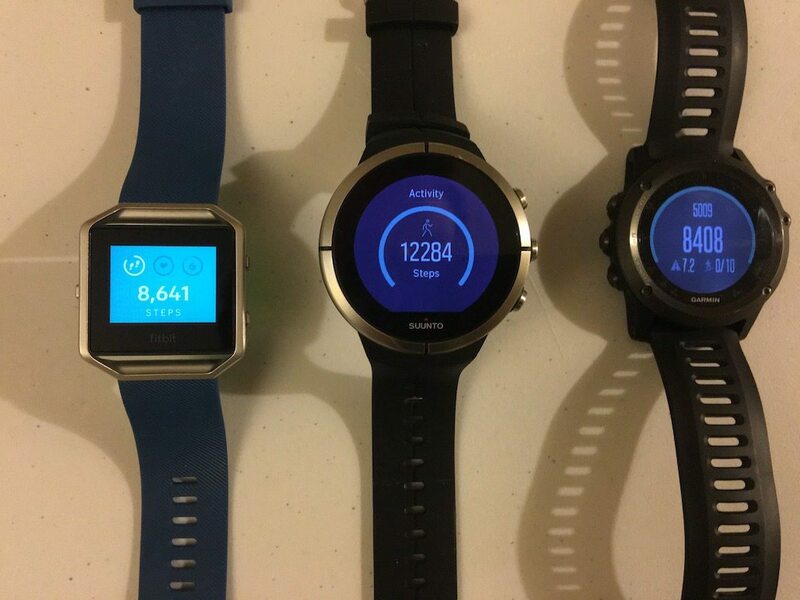 Over the weekend, I strapped on a FitBit Blaze (review pending) and my Fenix3 to see what they gave in terms of step counts.Now each company will have it’s own particular algorithms for monitoring steps, but it’s not unreasonable to expect most devices to get a similar ball park, without about 1000 steps I personally think is reasonable. The inability to customise the display comes up quite clearly when running. 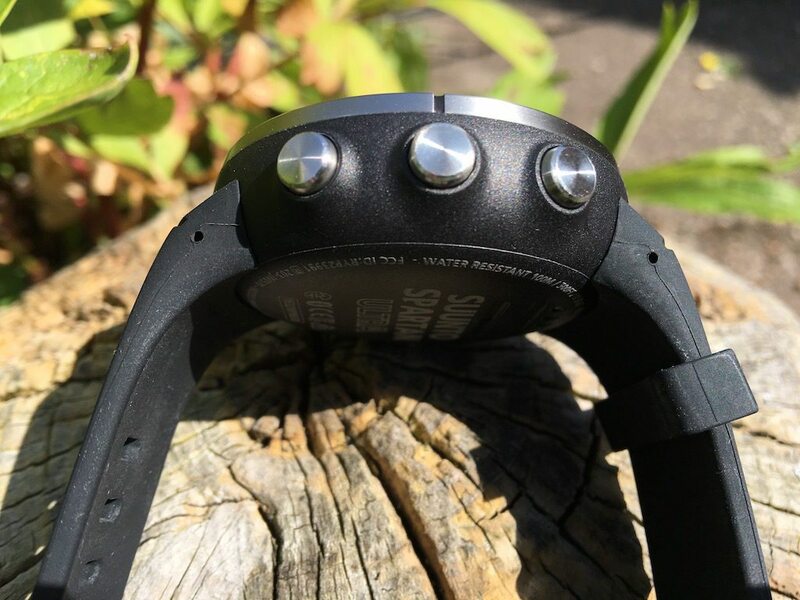 Caveat – the Polar V800 and M400 watches have minimal customisation in what is displayed during an activity, however, these devices debuted in 2014. 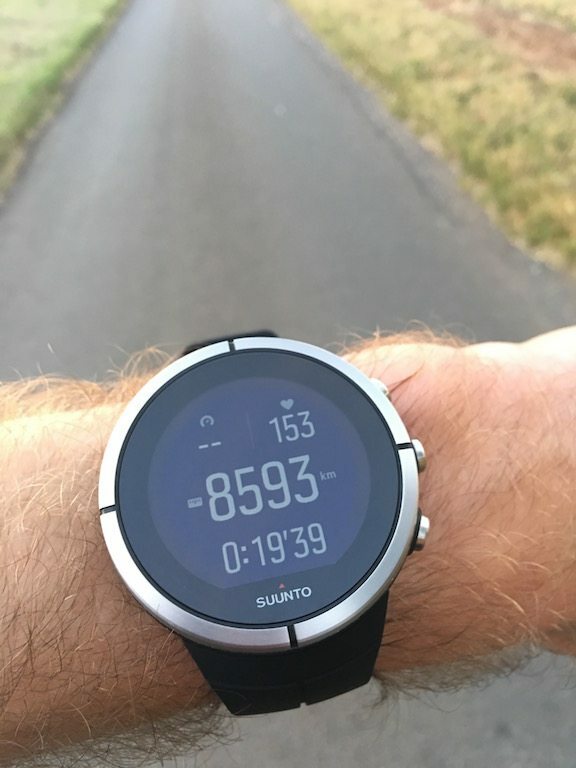 As an aside, I don’t know if there is a firmware issue with the Suunto Spartan, but if you stop to take a lot of pictures, say for a review run, I have seen it throw the GPS quite out of whack – I’m fast, but not this fast! 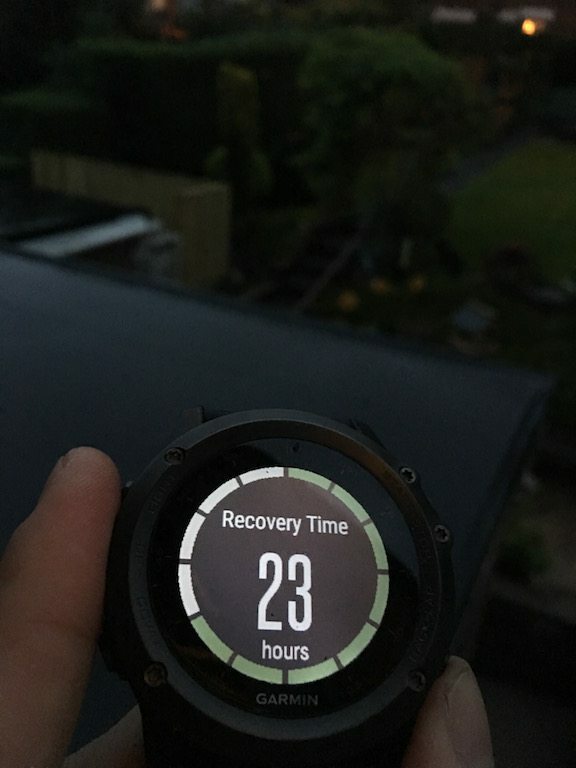 For the swimming, as with the running, I also wore my Fenix3, and it was as I was setting up the Fenix3 to start with, I noticed an issue. 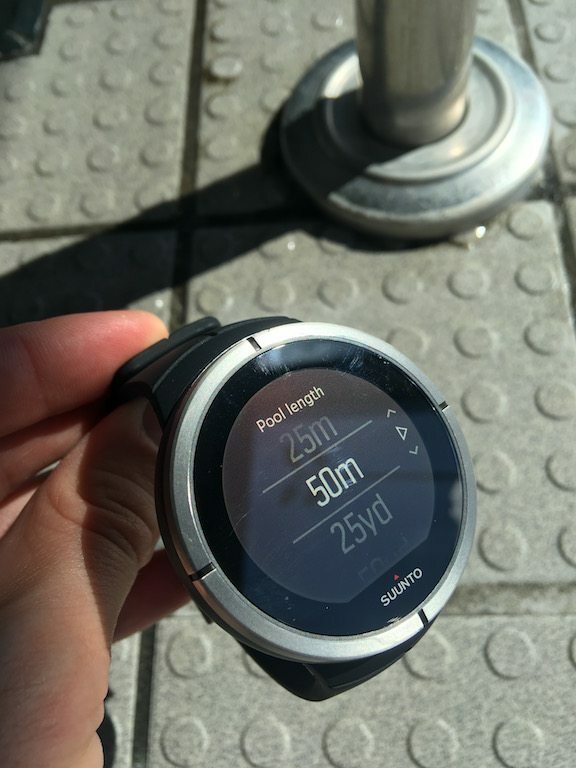 A 33m meter pool is not that unusual, especially in Europe, as it allows 3 lengths to be 100m. 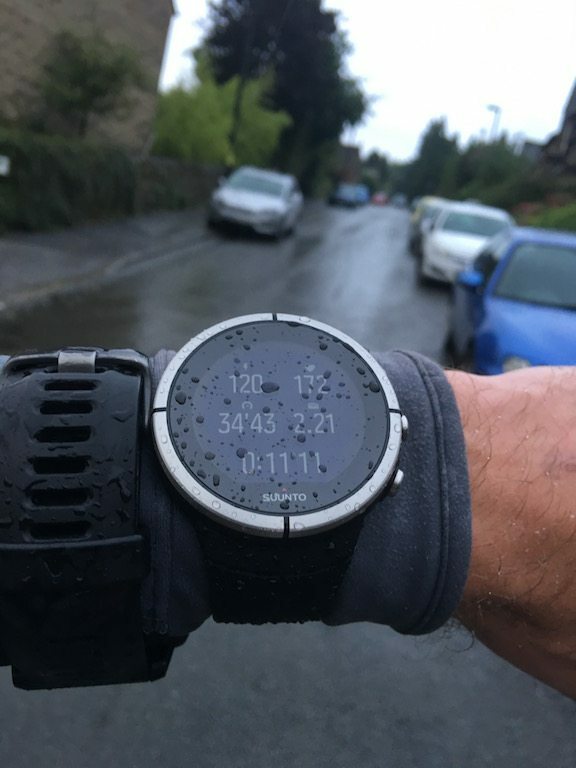 Easily something which could be addressed via firmware, but a little surprising that the 33m pool was omitted on this multi-sport watch. 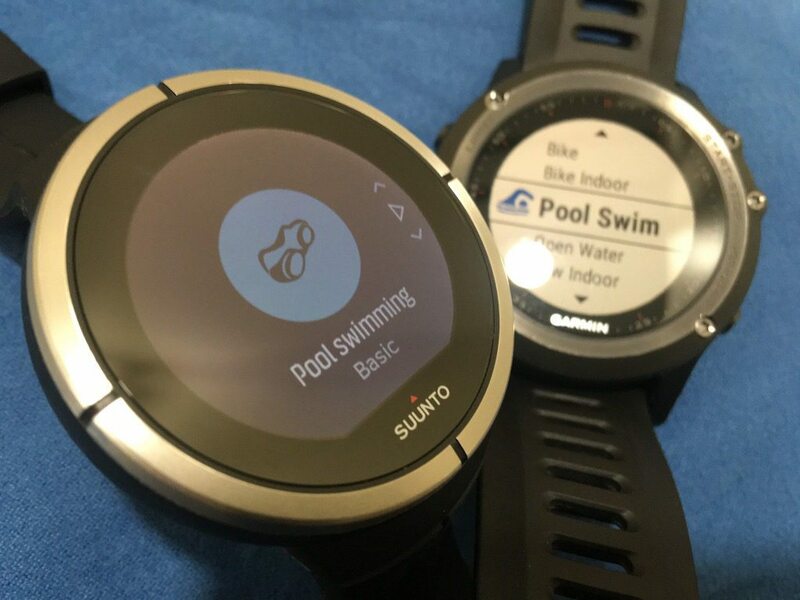 Initially, this might not seem a big deal, but if your pool is a 33m pool, it somewhat reduces the usefulness of the Suunto Spartan as a training tool in that pool. 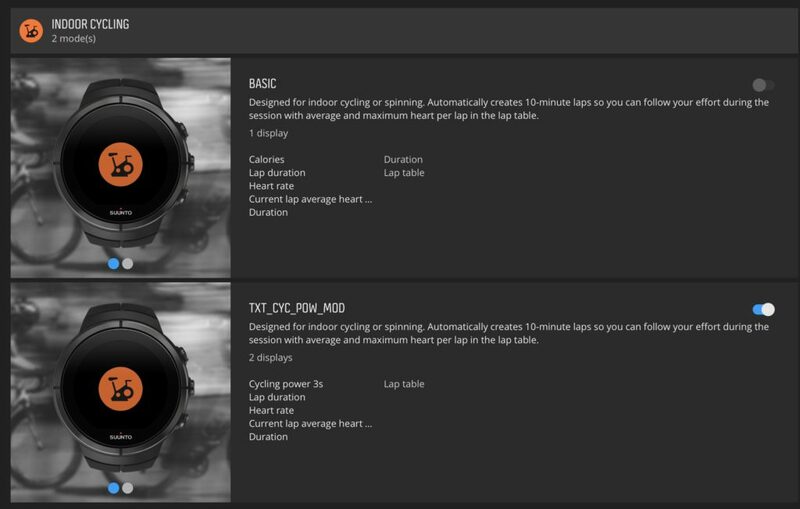 Now previous points about not being able to customise the displayed data are, in my opinion, less important when it comes to cycling. 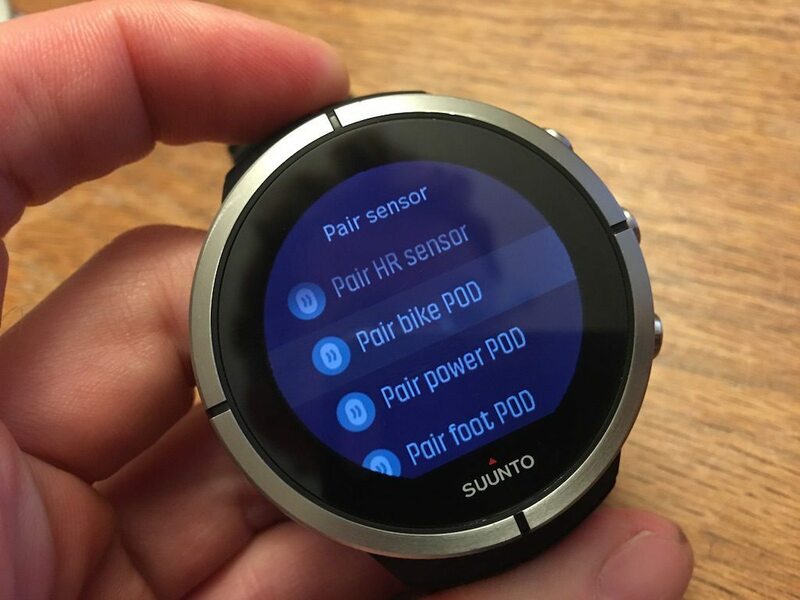 If I’m doing a triathlon, I’ll be monitoring my ride power output on a cycling head unit, not my watch, however, I’ll certainly be using a multi-sport watch during the event, though. 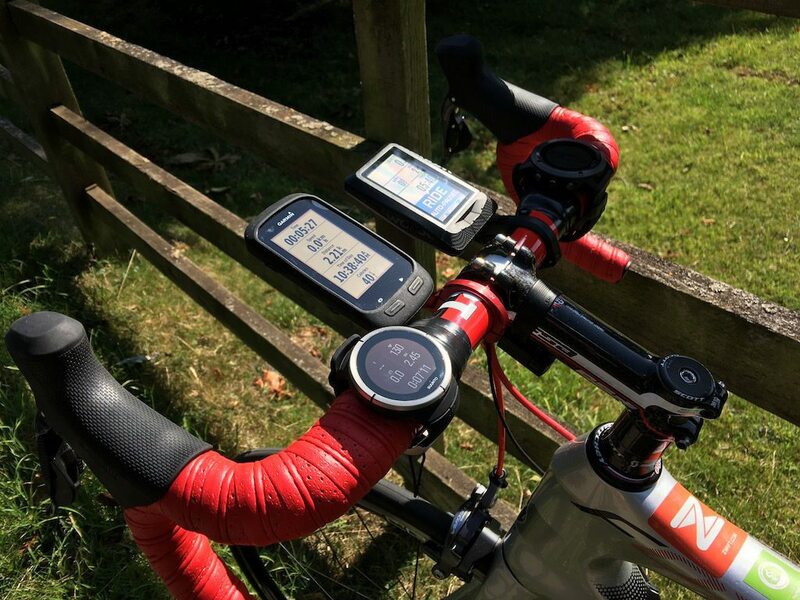 But in both cases, I have the GPS units set to be able to change a screen, to get a single large data field to concentrate on power output. 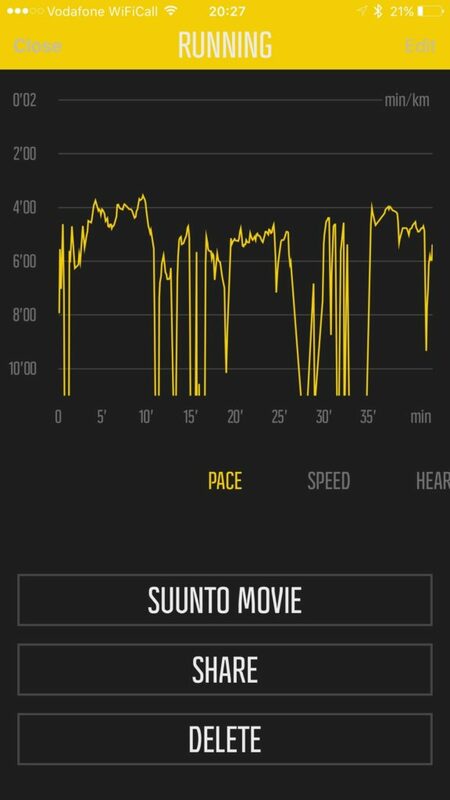 Again this is not possible with the Suunto Spartan. Ironically actually get the largest text display at the end of a ride! 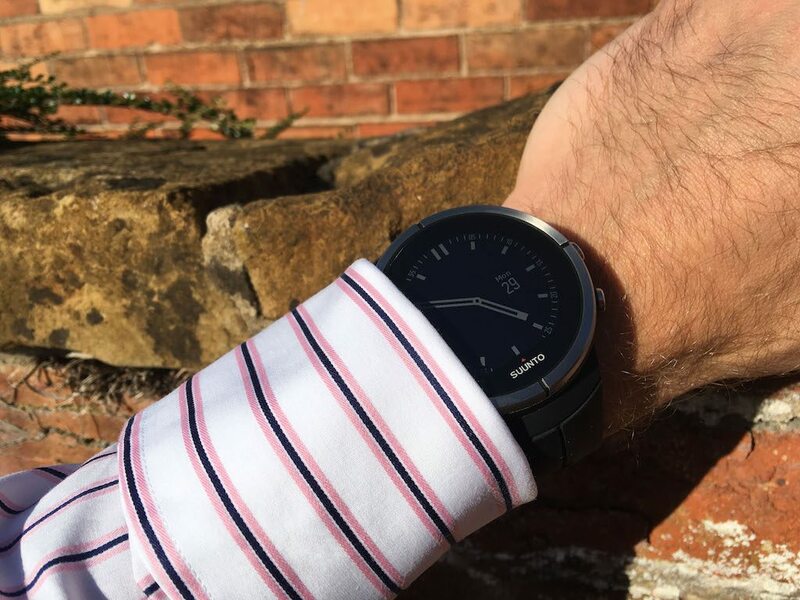 The touch screen adds NOTHING to the experience of using the watch other than a back swipe – EVERYTHING else can be achieved more easily and faster using the buttons. The presence of the touch screen currently feels like a “me too” functionality which was including for sake of the spec sheet, rather than the user. 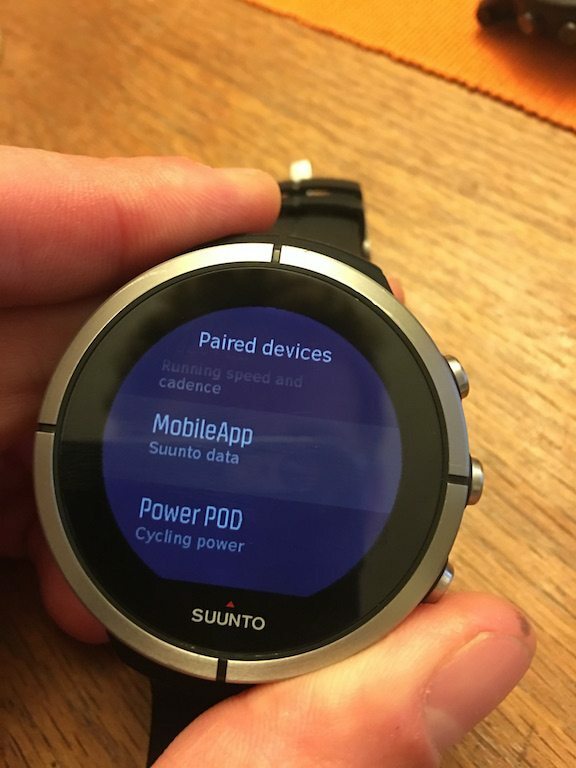 The smart phone app really is merely a method of syncing, if you want to change anything on Suunto Spartan, you have to plug into the computer. 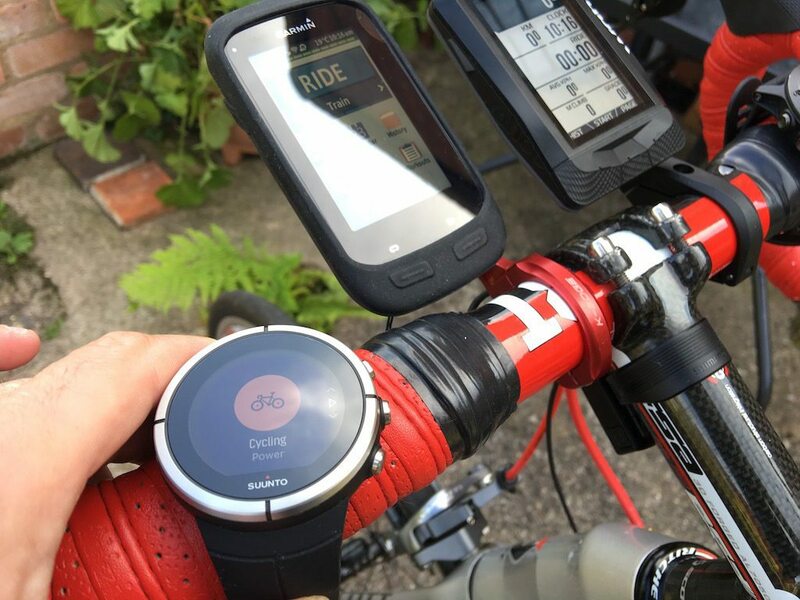 Inability to connect to multiple versions of the same sensors type – essentially allowing for multiple bike use. 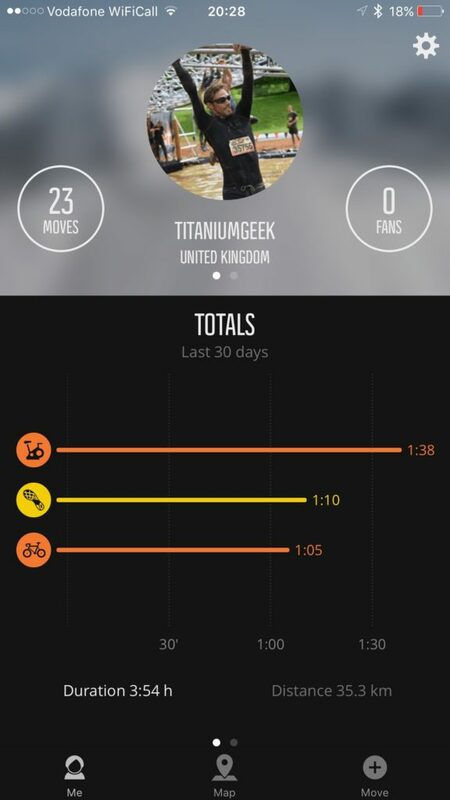 Pedometer is rather out of whack. I really hate to sound hypercritical of the Spartan, but it feels a little bit like a lick of new paint on old operating system. 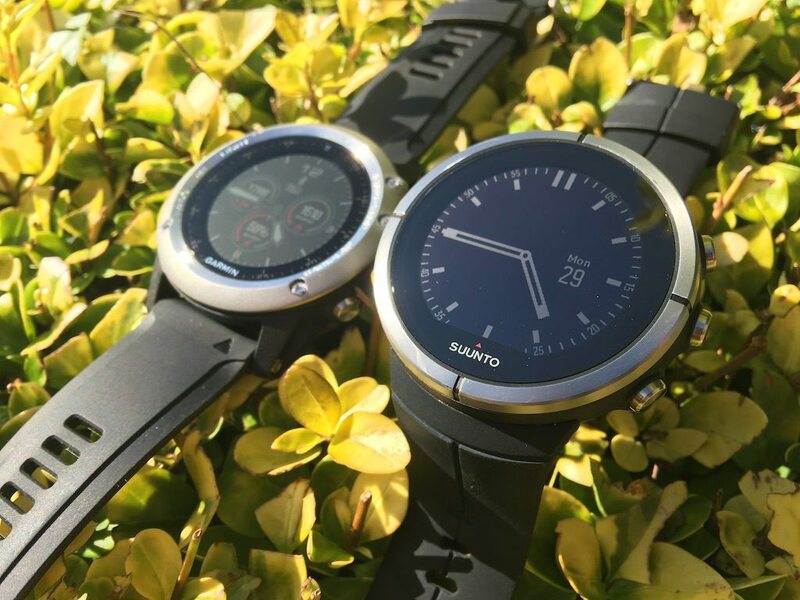 If you are already a Suunto user, and like their watches, you’ll love the Spartan. 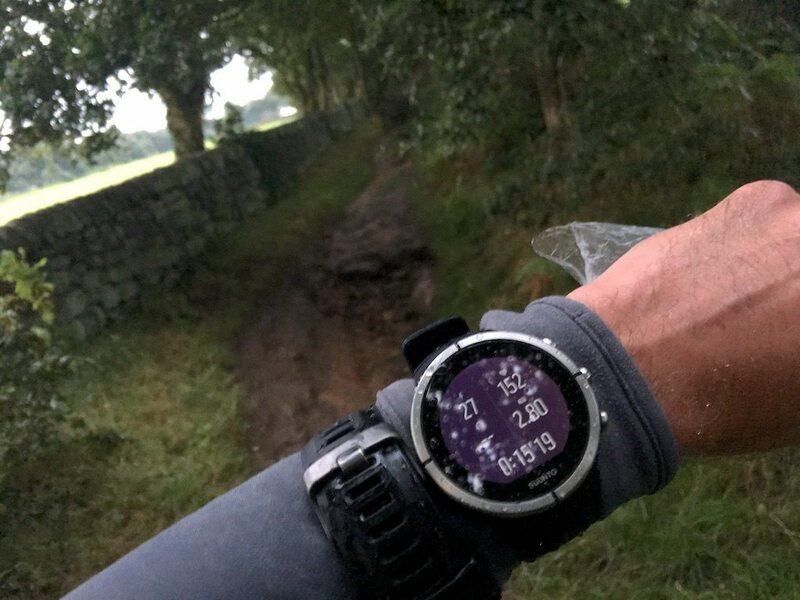 For me, I’d put it below both the Polar V800 and my own Garmin Fenix3. Compared to the other devices out on the markets, there are better performing devices, more user configurable devices, and many which are better value for money devices. 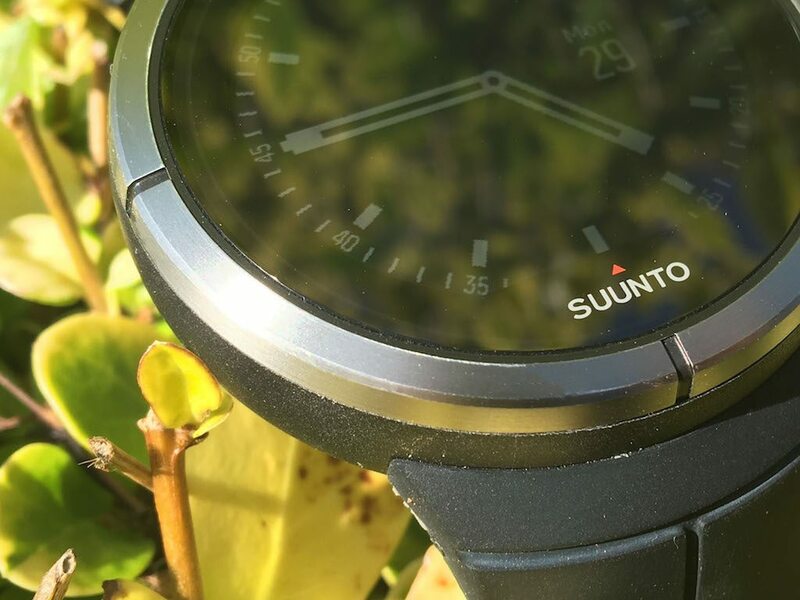 The only thing I can confidently say that the Suunto Spartan has over many of the other devices out there is looks. 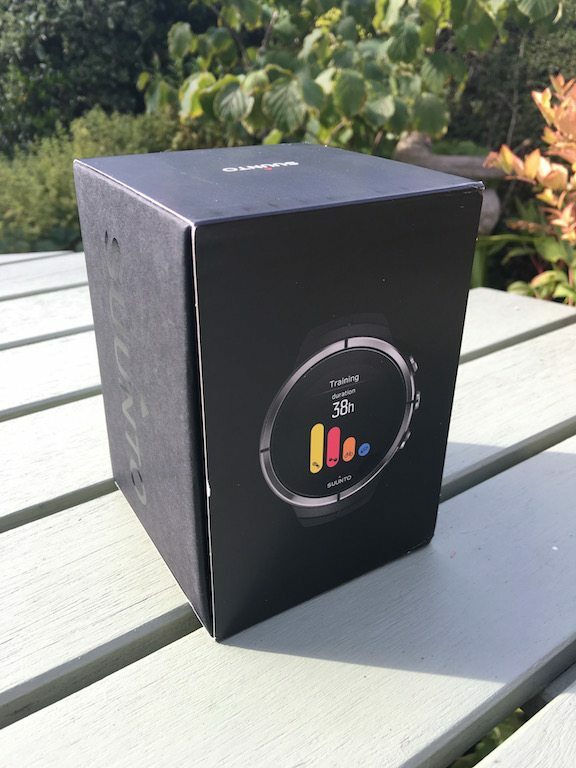 Basically this is the most beautiful device in the multisports watch world, but it’s a terrible shame that is is currently all beauty and no brains. 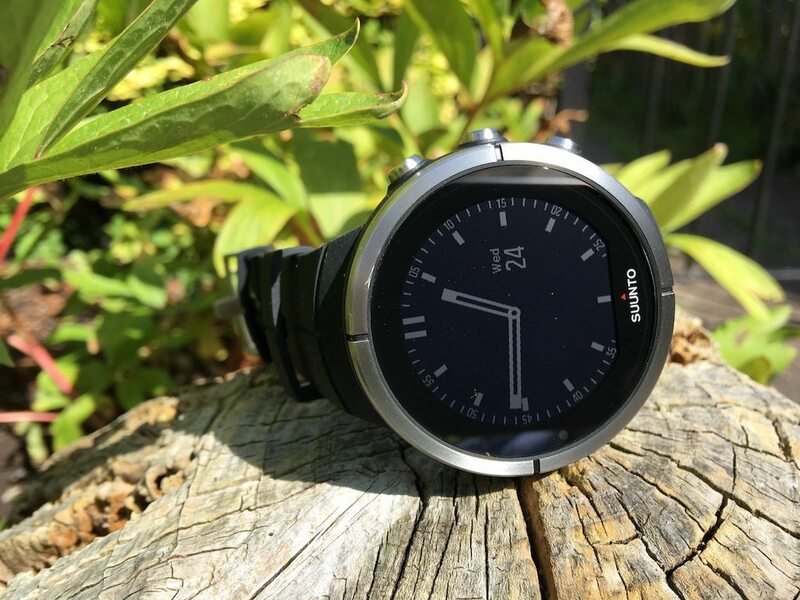 So I’ll have to see whether the forthcoming Polar M600 is able to knock the Fenix 3 from my wrist?